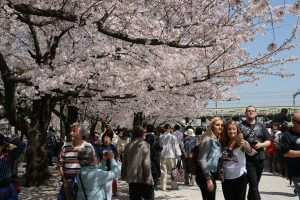 More and more visitors from overseas are making a point of timing trips to Tokyo during the cherry blossom season. Guidebook in their hands, they head to Meguro River, Ueno Park, Sumida River, Chidorigafuchi Park, or another popular spot. It goes without saying that the blossoms are beautiful in all of these locations. However, to be frank, there are so many people sometimes it’s hard to tell if you’re there to see blossoms or to see crowds. 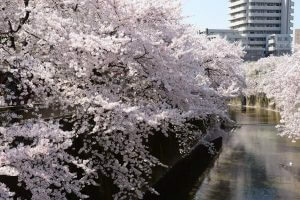 If you’re visiting Japan and you’d like to really experience cherry blossoms, we recommend Shakujii River. 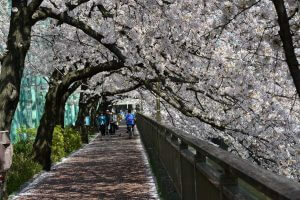 Around 1000 trees bloom on both sides of the river and there are very few people, making it perfect for enjoying cherry blossoms on a stroll. There are actually more cherry blossoms here than on Meguro River or at Ueno Park. After enjoying the scenery, stop by Makitazushi, established in 1972. Entering this flagship shop of Nakaitabashi is like stepping back in time to the Showa era (1926-1989). 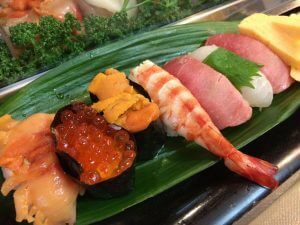 Make sure to splurge and order the special sushi selection for JPY 3024.